The University of Lagos (UNILAG) branch of the Academic Staff Union of Universities (ASUU), on Tuesday, confirmed that 150 of its 1,000 members signed the attendance register on Monday in compliance with the Federal Government’s directive. The ASUU chapter held a congress yesterday to deliberate on developments regarding the about six-month-old strike, rising to condemn the lecturers that signed the register before it was closed on Monday. The union’s secretary, Dr Adebisi Ademakinwa, however, disclosed that though the lecturers’ action was contrary to the resolution of the body, the affected members would not be sanctioned. The congress, which took place at the Faculty of Engineering on the campus, had about 250 members in attendance. According to Ademakinwa, the union condemned the action of the 150 members who signed the register, but noted that they were being pardoned based on the fact that some of them, who are postgraduate students, were threatened by their supervisors to sign. He further said that the union had resolved to continue with the strike until the Federal Government documented its commitments to the union, which must be signed by high ranking government officials, such as the Secretary to the Government of the Federation, Anyim Pius Anyim. “What does it cost a serious government to commit the agreement into writing? Except there is something fishy. We have had records of failure to observe agreements on the part of government in the past and we are not ready to tow that path again because we don’t want to go on strike again in any near future over these issues. Enough is enough,” he said. The union also condemned the actions of one of its members, Dr David Aworawo, who was said to have appeared on a television programme on Monday morning in Lagos, making case for the suspension of the strike. Ademakinwa added that such betrayals were not strange, noting that at the appropriate time, the union would deal with the cowards within it. “Even in the military there are cowards and so we are not surprised to have them but obviously, they are in the minority. 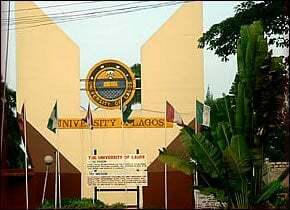 In fact, if these issues are not resolved until January 6 when UNILAG plans to resume for academic activities, no lecturer will go to the class,” he added.